Originally a skit on "Saturday Night Live" during the late '80s and early '90s, "Wayne's World" is about two teenage dudes who host a public access TV show, which is mainly about rock, babes and people who live in the area. 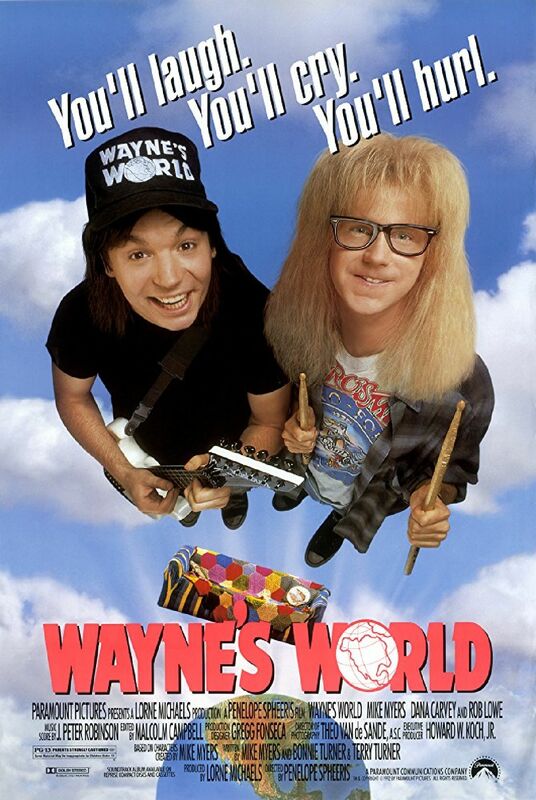 One day Wayne and Garth go to a rock concert, and Wayne falls in love with a bass guitarist named Cassandra Wong. Wayne spends the rest of the movie trying to get Casandra to fall in love with him. He also struggles with a network executive who wants to buy the rights to his show.